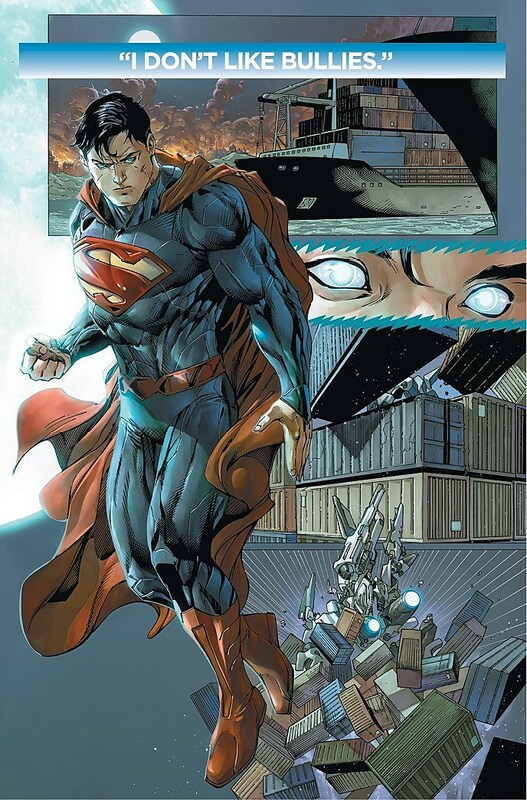 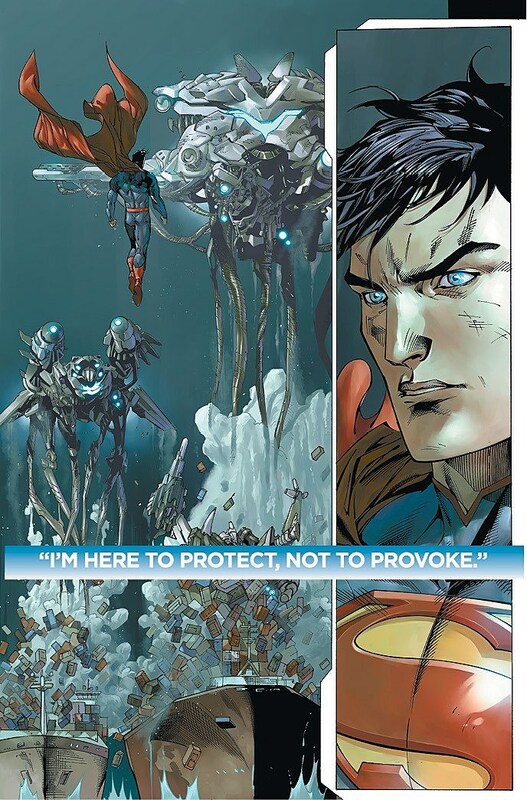 Following Grant Morrison, Rags Morales, Brent Anderson, Gene Ha, Brad Walker, ChrisCross, Cully Hamner, Cafu, Andy Kubert, Rick Bryant, Travel Foreman, Chris Sprouse and Sholly Fisch's 18-issue run, writer Andy Diggle and artist Tony Daniel will take over Action Comics beginning with issue #19 in April. 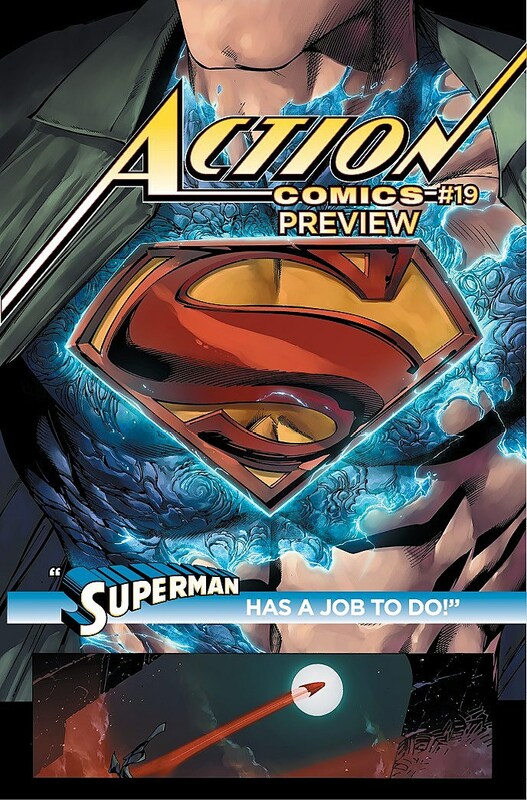 So far, judging from DC's 5-page preview, the a story-arc promises robot-battling and heat vision blasting.Originally scheduled to take over the book with issue #18, Diggle and Daniel's run was delayed until #19 to allow Morrison an extra issue to wrap up his storyline. 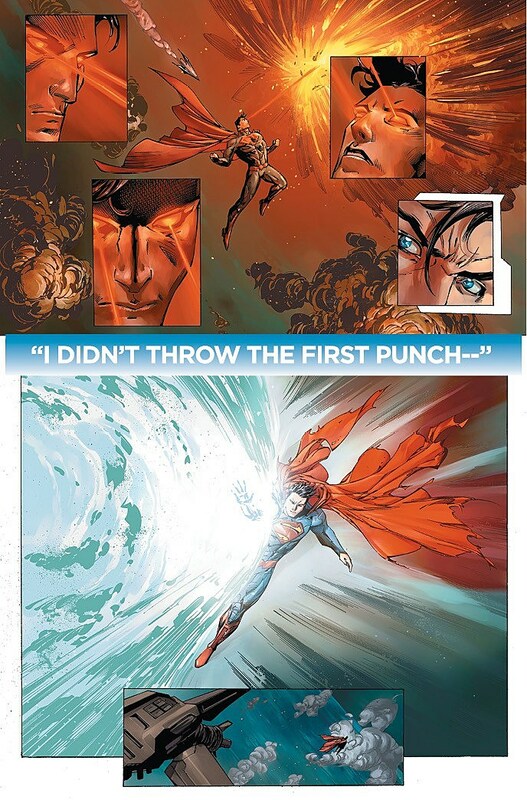 This will be Diggle's first writing duty in the Nu52, excepting a short-story in DC's Young Romance Valentine's Day one-shot anthology, while Daniel's jumped from writing and drawing the launch of Detective Comics (currently helmed by writer John Layman and artist Jason Fabok), and a short stint drawing Justice League #13 and #14 written by Geoff Johns. 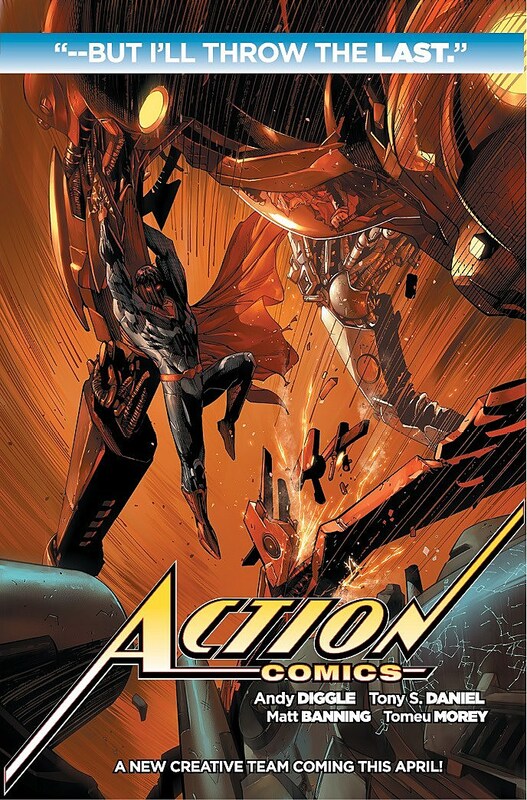 Details on how Diggle and Daniel will differentiate their story from what happened during Morrison and Morales's run are sparse so far, but if the preview pages are any indication, it looks like the book's titular action is a priority.